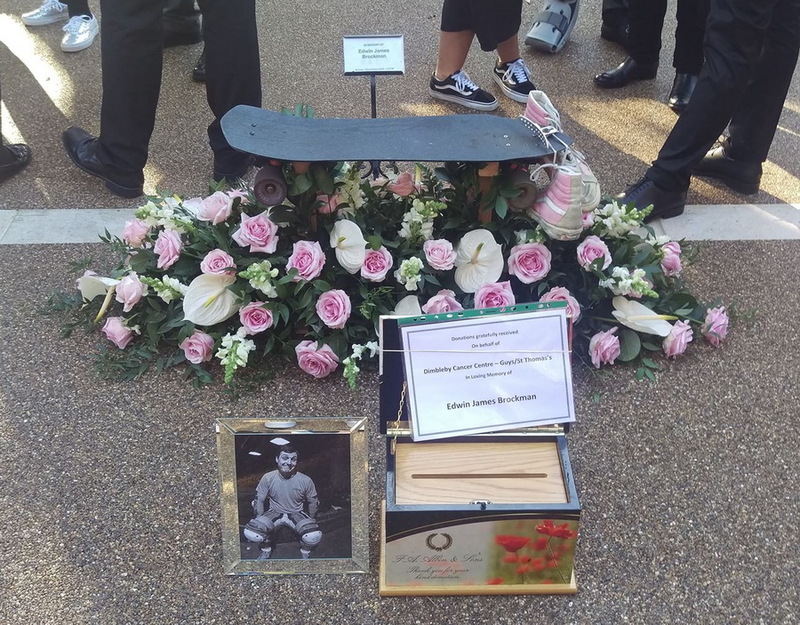 Ed was an ardent skateboard sticker collector and one of the ideas for his funeral was to place a bunch of them on the coffin. 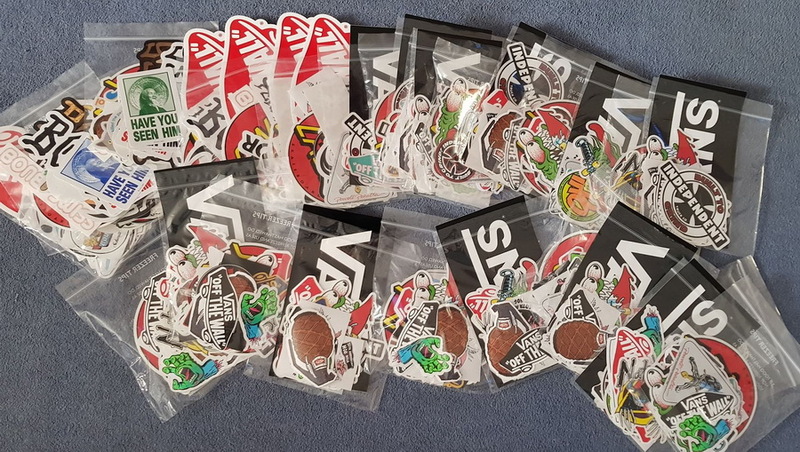 Loads of stickers were sent in from California and elsewhere, and Vans in particular! 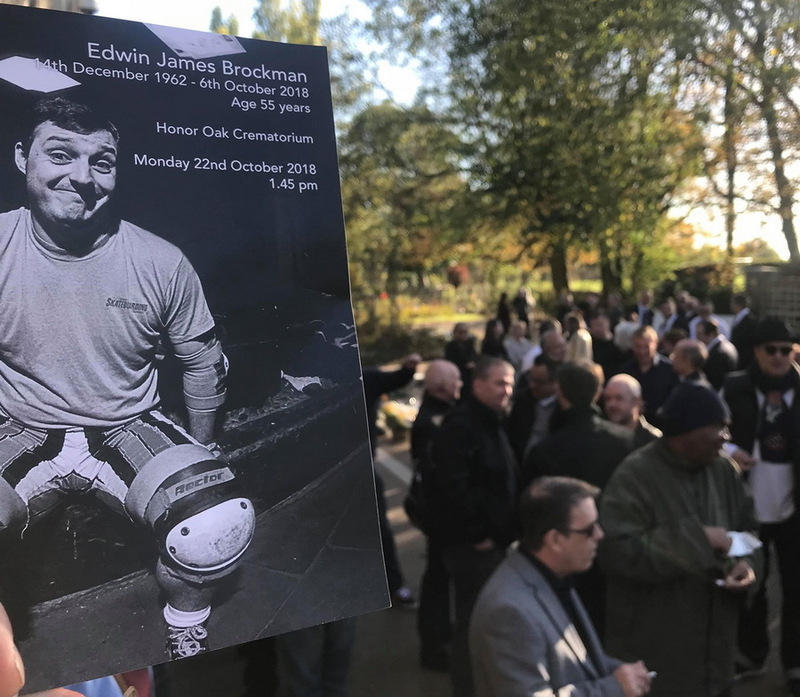 As Ed may have considered it a complete waste to use stickers in that manner plans were altered and collector packs were organized with proceeds of their sales given to Dimbleby Cancer Centre at Guys/St Thomas Hospital. Rob Ashby may still have some if you're interested and you may also make a direct contribution to the Cancer Centre.